Karl Schlicht, Toyota Europe’s executive vice president, has told UK’s Auto Express to “expect more risky designs” in the future, adding that there are more “emotional surprises like the FT-1 concept” in store. Seriously, if this keeps up, the Supra is going to be spoken of in the same mythical tones as Half-Life 3. 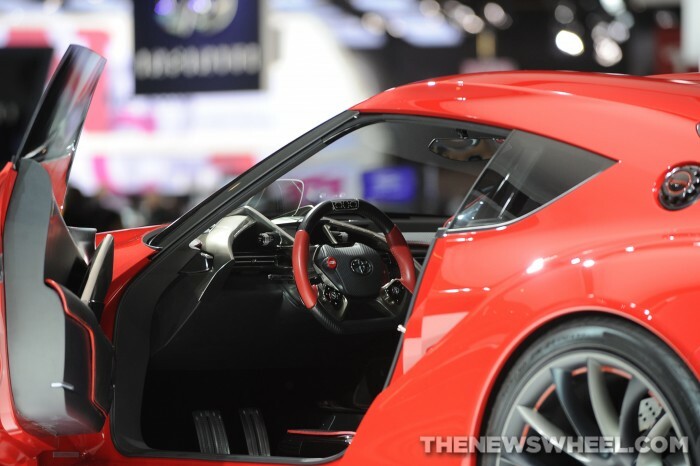 In the conversation, Karl Schlicht cites Toyota CEO, Akio Toyoda, as the impetus behind the push for risky designs, saying that Toyoda has told his employees to focus more upon making appealing products than being number one. “If Akio wasn’t CEO then our products would still be bland, but they’re not because he’s prepared to make a mistake. If 30 per cent of people don’t like a car we produce then that’s fine, we’re only after between five and ten per cent market share,” Schlicht said. SUPRA CONFIRMED! It will be a production version of the FT-1 and it will come in every color but black and white. Sigh. We’ve been watching way too much True Detective.